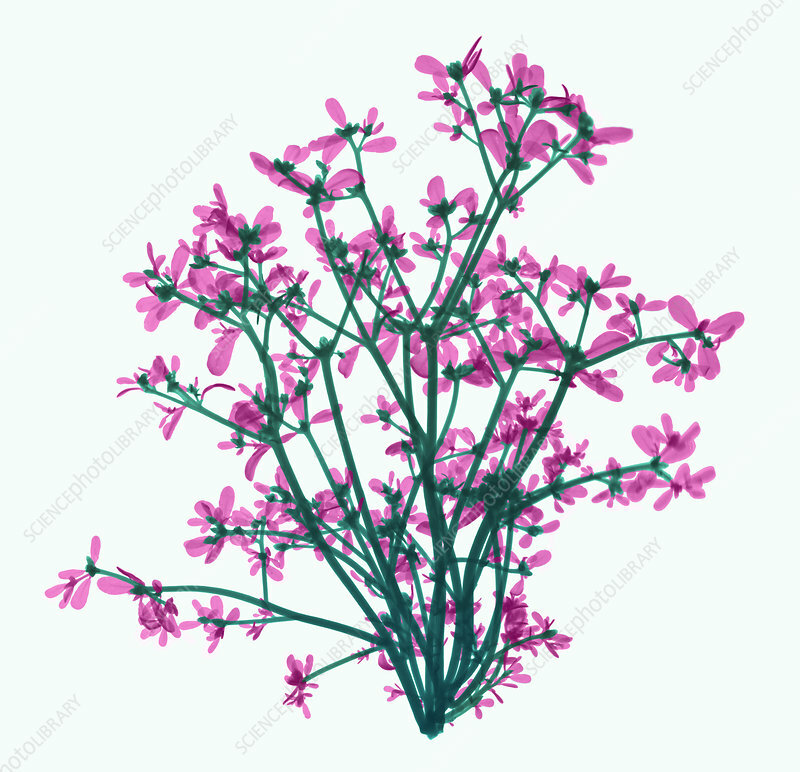 Colour-enhanced X-ray of common purslane (Portulaca oleracea), also known as verdolaga, pigweed, little hogweed, red root, pursley, and moss rose. This is an annual succulent in the family Portulacaceae, which may reach 40 centimetres (16 in) in height. Often considered a weed, purslane is also good in salads and soups.